In partnership with the Iowa Office of Latino Affairs, PILA (Association of Iowa LatinX Professionals), and the Des Moines Social Club, YPC presents the LatinX Forum on Wednesday, April 17 from 6 to 8 pm at The Basement of the Social Club. In addition, El Fogon in West Des Moines has graciously donated chips and salsa for you to snack on. The YPC LatinX Forum will consist of a moderated panel of 4 local Des Moines LatinX leaders who represent high school, college, young professionals, and working professionals. The panel will be moderated by Sonia Reyes-Snyder, the Executive Officer of the Iowa Office of Latino Affairs. This forum will try to tell the story of the LatinX community Des Moines through their own words, specifically the barriers, challenges, and opportunities facing this population, and to connect a local face to national issues facing the LatinX community. The Iowa Office of Latino Affairs serves as an ongoing resource for Iowans of Latino heritage, government agencies, businesses and other entities in the state. They help to remove barriers for Latino Iowans and bridge existing cultural language and service gaps by: (1) assisting public and private groups to develop inclusive strategic plans, programs and initiatives, and to implement them, (2) connecting organizations and Iowa employers with Iowans of Latino heritage, (3) educational presentations and forums in English and/or Spanish, (4) serving as the voice of the Latino community on committees, advisory boards, task forces and initiatives, and (5) up-to-date and reliable information, resources and news on Facebook, our monthly newsletter and in media interviews/articles. 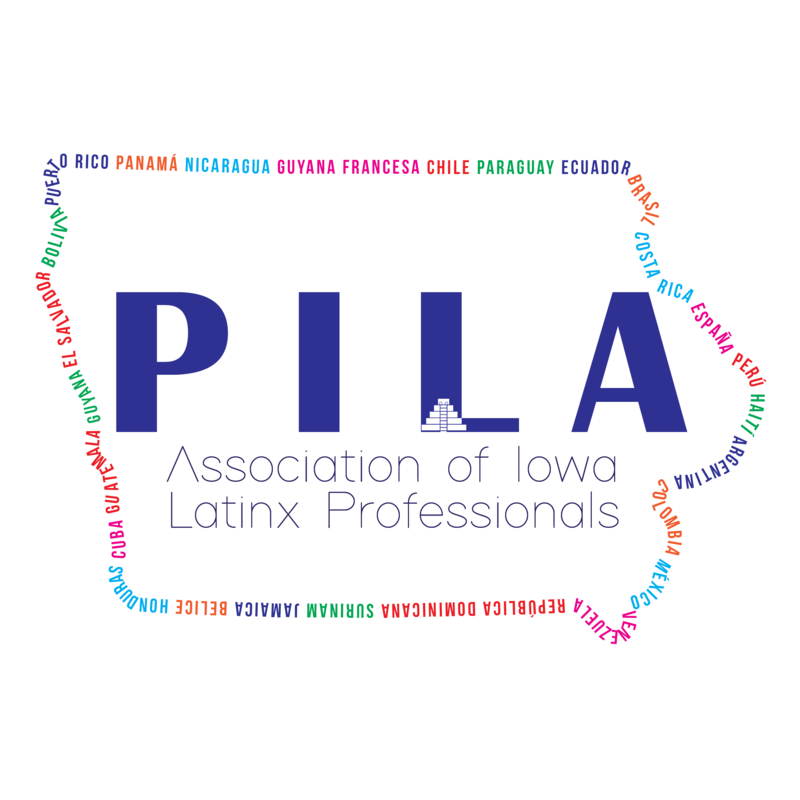 PILA’s mission is to support and empower Iowa’s LatinX professionals by creating an inclusive space and providing opportunities for self-advocacy, professional development, networking, and connections to Iowa’s employers. The Des Moines Social Club is an innovative arts and entertainment venue located in a renovated, historica art deco Firehouse in downtown Des Moines. The non-profit provides a home for local artists, offers unique programming spanning all arts disciplines, and brings people of every age and background together under one roof — all for the purpose to use the arts as a catalyst to create unprecedented community engagement. YPC Diversity Forums are an in-depth discussion of issues affecting underrepresented populations in Des Moines. They are story-telling opportunities to approach issues you care about through a different perpsectives, to learn more about a group that you may know little to nothing about, and to connect local faces to national issues. YPC Diversity & Culture will present two Diversity Forums in a calendar year.